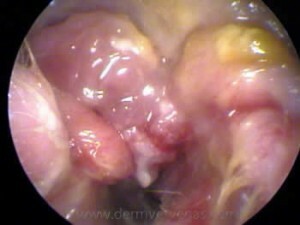 To optimize treatment of pets with chronic ear infections, Dermatology Clinic for Animals utilizes video-otoscopy. 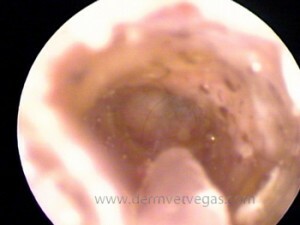 This procedure involves the use of specialized equipment which has a highly magnified camera lens used to examine the deeper parts of the ear canal, the ear drum, and the middle ear. It is very helpful in identifying foreign objects and tumors in the canal, abnormalities of the eardrum, and infection of the middle ear. 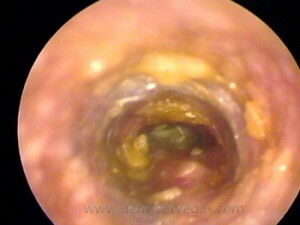 Additionally, instruments can be inserted through the video-otoscope to grasp or biopsy objects in the ear canal, or to flush debris out of the ear canal and middle ear. 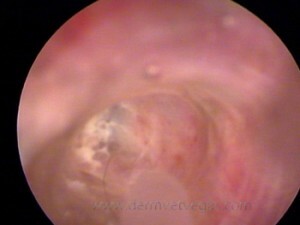 Findings can be documented via photographs and video recordings. 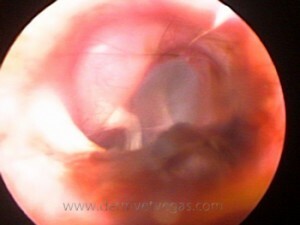 Video-otoscopy is a valuable tool in enabling our veterinarians to accurately diagnose and treat challenging cases of chronic ear infections in companion animals.